Andria and Ally met whilst teaching Beauty Therapy at local top-performing Selby College and they became close personal friends as well as colleagues. 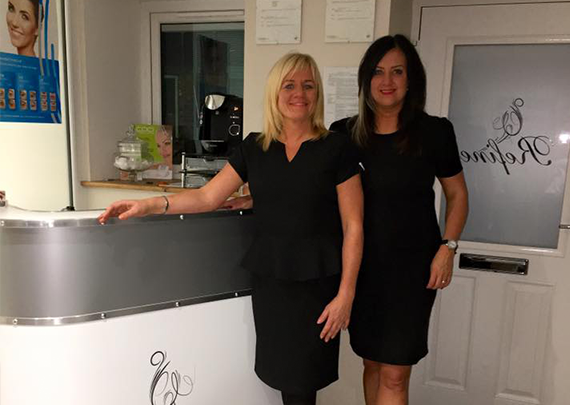 With a combined industry experience of over 40 years they have finally decided to join in business together and open Refine, a new Advanced Therapies salon in Cowick, Goole. This isn’t a typical Beauty Salon although they do offer some of the usual beauty treatments such as shellac, waxing, and eyelash treatments. Concentrating on the advanced therapies and vast experience they share, their working combination is second to none. The advanced treatments on offer include Permanent make-up, advanced electrolysis, remedial and sports massage and intimate waxing. During their many years in the trade they have had the chance to work with a huge variety of companies, products and equipment which has enabled to them to choose the ones they believe in and trust.